What cause withholds you then to copy once more? I come here to read the questions, not to answer them. So let it be with me…. And grievously had all students answered it. Come I to appear in the mid sems.. Does this in them seem to be a lesser effort? And the Prof is an honorable man. And I must pause, till someone shows it to me. 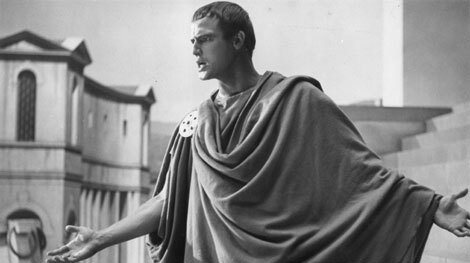 This piece is a parody of the famous speech delivered by Mark Antony during Julius Caesar’s funeral (William Shakespeare). Here’s a video link of the well crafted dialogue performed by Barnabes Reti. as he relived those moments of anguish. He cried and cried but no one listened. The old man said it was. He didn’t consider he had lost anything at all. photograph of everyone whom he loved. I took it and stared. It was blank. Why, he said, can’t you see what God gave me that day? gave me new ones. With these, I could see what I had missed earlier. In the very core of life reside love, hope and kindness. I saw people with valor working relentlessly to feed the world. I saw people sacrificing their most precious thing for the happiness of others. I saw people with determination moving the world. You said the paper was blank. But I could see God Himself smiling at me from it. nooks and corners of earth? I looked out of the window. It had been raining all night long. But it was all clear now. The sun had risen shining through the tiny dew drops on the grass. A new day was born. Morning Dew was one of my first attempts at writing. It started out when a friend of mine, Sarthak, asked me to write something for the school magazine. “When one is in high school, everything seems like the end of the world” (17 Again).